Collette, R., Kellmann, M., Ferrauti, A., Meyer, T. & Pfeiffer, M. (2018). Relation between training load and recovery-stress state in high-performance swimming. Frontiers in Physiology, 9, 845. Meyer, T., Skorski, S., Pfeiffer, M., Kellmann, M., Ferrauti, A., & Hecksteden, A. (2018). Regenerationsmanagement im Sport. Sportphysio, 6(1), 24–32. Schneider, C., Hanakam, F., Wiewelhove, T., Döweling, A., Kellmann, M., Meyer, T., Pfeiffer, M. & Ferrauti, A. (2018). Heart rate monitoring in team sports – a conceptual framework for contextualizing heart rate measures for training and recovery prescription. Frontiers in Physiology, 9, 639. Wiewelhove, T., Schneider, C., Döweling, A., Hanakam, F., Rasche, C., Meyer, T., Kellmann, M., Pfeiffer, M. & Ferrauti, A. (2018) Effects of different recovery strategies following a half-marathon on fatigue markers in recreational runners. PLoS ONE, 13(11), e0207313. Wiewelhove, T., Schneider, C., Schmidt, A., Döweling, A., Meyer, T., Kellmann, M., Pfeiffer, M. & Ferrauti, A. (2018). Active recovery after high-intensity interval-training does not attenuate training adaptation. Frontiers in Physiology, 9, 415. Hitzschke, B., Wiewelhove, T., Raeder, C., Ferrauti, A., Meyer, T., Pfeiffer, M., Kellmann, M. & Kölling, S. (2017). Evaluation of psychological measures for the assessment of recovery and stress during a shock-microcycle in strength and high-intensity interval training. Performance Enhancement & Health, 5(4), 147-157. Julian, R.A., Meyer, T., Fullagar, H.H.K., Skorski, S., Kellmann, M., Pfeiffer, M., Ferrauti, A. & Hecksteden, A. (2017). Individual patterns in blood-borne indicators of fatigue – trait or chance. Journal of Strength and Conditioning Research, 31, 608-619. Kölling, S., Treff, G., Winkert, K., Ferrauti, A., Meyer, T., Pfeiffer, M. & Kellmann, M. (2017). The effect of westward travel across five time-zones on sleep and subjective jet-lag ratings in athletes before and during the 2015’s World Rowing Junior Championships, Journal of Sports Sciences. 35, 2240-2248. Nässi, A., Ferrauti, A., Meyer, T., Pfeiffer, M. & Kellmann, M. (2017). Development of two short measures for recovery and stress in sport. European Journal of Sport Science, 17(7), 894-903. Nässi, A., Ferrauti, A., Meyer, T., Pfeiffer, M. & Kellmann, M. (2017). Psychological tools used for monitoring training responses of athletes. Performance Enhancement & Health, 5(4), 125-133. Pelka, M., Ferrauti, A., Meyer, T., Pfeiffer, M. & Kellmann, M. (2017). How does a short, interrupted recovery break affect performance and how is it assessed? A study on acute effects. International Journal of Sports Physiology and Performance, 12(Suppl. 2), 2114-2121. Pelka, M., Kölling, S., Ferrauti, A., Meyer, T., Pfeiffer, M., & Kellmann, M. (2017). Acute effects of psychological relaxation techniques between two physical tasks. Journal of Sports Sciences, 35, 216-223. Raeder, C., Wiewelhove, T., Schneider, C., Döweling, A., Kellmann, M., Meyer, T., Pfeiffer, M. & Ferrauti, A. (2017). Effects of active recovery following high-intensity training sessions on muscle function in elite Olympic weightlifters. Advances in Skeletal Muscle Function Assessment, 1(1), 3-12. Schimpchen, J., Wagner, M., Ferrauti, A., Kellmann, M., Pfeiffer, M., & Meyer, T. (2017). Can Cold Water Immersion Enhance Recovery in Elite Olympic Weightlifters? An Individualized Perspective. Journal of Strength and Conditioning Research. 31(6), 1569-1576. Zinner C., Pelka, M., Ferrauti, A., Meyer, T., Pfeiffer, M. & Sperlich, B. (2017). Responses of low and high compression during recovery after repeated sprint training in well trained handball players. European Journal of Sport Science, 17(10), 1304-1310.
de Paula Simola, R.A., Raeder, C., Wiewelhove, T., Kellmann, M., Meyer, T., Pfeiffer, M. & Ferrauti, A. (2016). Muscle mechanical properties of strength and endurance athletes and changes after one week of intensive training. Journal of Electromyography and Kinesiology, 30, 73-80. Fullagar, H.H., Duffield, R., Skorski, S., White, D., Bloomfield, J., Kölling, S. & Meyer, T. (2016). Sleep, travel and recovery responses of national footballers during and following long-haul international air travel. International Journal of Sports Physiology and Performance, 11, 86-95. Hammes, D., Skorski, S., Schwindling, S., Ferrauti, A., Pfeiffer, M., Kellmann, M. & Meyer, T. (2016). Can the Lamberts and Lambert submaximal cycle test (LSCT) indicate fatigue and recovery in trained cyclists?. International Journal of Sports Physiology and Performance, 11(3), 328-336. Hecksteden, A., Skorski, S., Schwindling, S., Hammes, D., Pfeiffer, M., Kellmann, M., Ferrauti, A. & Meyer, T. (2016). Blood-borne markers of fatigue and recovery in competitive athletes – Results from a simulated training camp. PLOS ONE, 11(2), e0148810. Hitzschke, B., Holst, T., Ferrauti, A., Meyer, T., Pfeiffer, M. & Kellmann, M. (2016). Entwicklung des Akutmaßes zur Erfassung von Erholung und Beanspruchung im Sport [Development of the Acute Recovery and Stress Scale]. Diagnostica, 62(4), 212-226. Kellmann, M., Kölling, S. & Hitzschke, B. (2016). 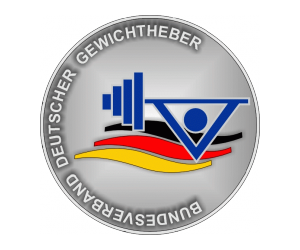 Das Akutmaß und die Kurzskala zur Erfassung von Erholung und Beanspruchung im Sport – Manual. Hellenthal: Sportverlag Strauß. Kölling, S., Ferrauti, A., Pfeiffer, M., Meyer, T. & Kellmann, M. (2016). Sleep in sports: A short summary of alterations in sleep/wake patterns and the effects of sleep loss and jet-lag. 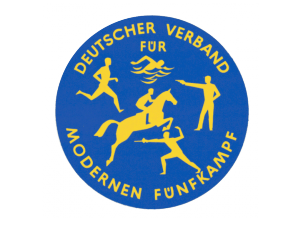 Deutsche Zeitschrift für Sportmedizin, 67, 35-38. Kölling, S., Pfeiffer, M., Meyer, T., Ferrauti, A. & Kellmann, M. (2016). Psychometrische Erholtheitsdiagnostik im Leistungssport. Leistungssport, 46(4), 22-25. Kölling, S., Wiewelhove, T., Raeder, C., Endler, S., Ferrauti, A., Meyer, T. & Kellmann, M. (2016). Sleep monitoring of a six-day microcycle in strength and high-intensity training. European Journal of Sport Science, 16, 507-515. Raeder, C., Wiewelhove, T., de Paula Simola, R.A., Kellmann, M., Meyer, T., Pfeiffer, M., & Ferrauti, A. (2016). Assessment of Fatigue and Recovery in Male and Female Athletes Following Six Days of Intensified Strength Training. Journal of Strength and Conditioning Research, 30(12), 3412-3427. Wiewelhove, T., Raeder, C., Meyer, T., Kellmann, M., Pfeiffer, M., & Ferrauti, A. (2016). Effect of Repeated Active Recovery during a High-Intensity Shock Microcycle on Markers of Fatigue. International Journal of Sports Physiology and Performance, 11(8), 1060-1066.
de Paula Simola, R.A., Harms, N., Raeder, C., Kellmann, M., Meyer, T., Pfeiffer & M., Ferrauti, A. (2015). Assessment of neuromuscular function after different strength training protocols using tensiomyography. Journal of Strength & Conditioning Research, 29(5), 1339-1348.
de Paula Simola, R.A., Harms, N., Raeder, C., Kellmann, M., Meyer, T., Pfeiffer, M. & Ferrauti, A. (2015). Tensiomyography reliability and prediction of changes in muscle force after eccentric strength exercise using muscle mechanical properties. Sports Technology, 8(1-2), 58-66. Fullagar, H.H., Duffield, R., Skorski, S., Coutts, A., Julian, R. & Meyer, T. (2015). Sleep and recovery in team sport: current sleep-related issues facing professional team-sport athletes. International Journal of Sports Physiology and Performance, 10(8), 950-957. Wiewelhove, T., Raeder, C., Meyer, T., Kellmann, M., Pfeiffer, M. & Ferrauti, A. (2015). Markers for routine assessment of fatigue and recovery in male and female team sport athletes during high-intensity interval training. PLoS ONE, 10(10), e0139801. Meyer, T., Wegmann, M., Poppendieck, W., Fullagar, H.H. (2014). Regenerative interventions in professional football. Sports Orthopaedics and Traumatology, 30, 112-118. Meyer, T., Kellmann, M., Ferrauti, A., Pfeiffer, M. & Faude, O. (2013). Die Messung von Erholtheit und Regenerationsbedarf im Fußball. Deutsche Zeitschrift für Sportmedizin, 64, 28-34. Poppendieck, W., Faude, O., Wegmann, M. & Meyer, T. (2013). Cooling and performance recovery of trained athletes: A meta-analytical review. International Journal of Sports Physiology and Performance, 8(3), 227-242.